Cheese Factories on the Moon is a highly readable book that turns the debate about congressional appropriations earmarks on its head. 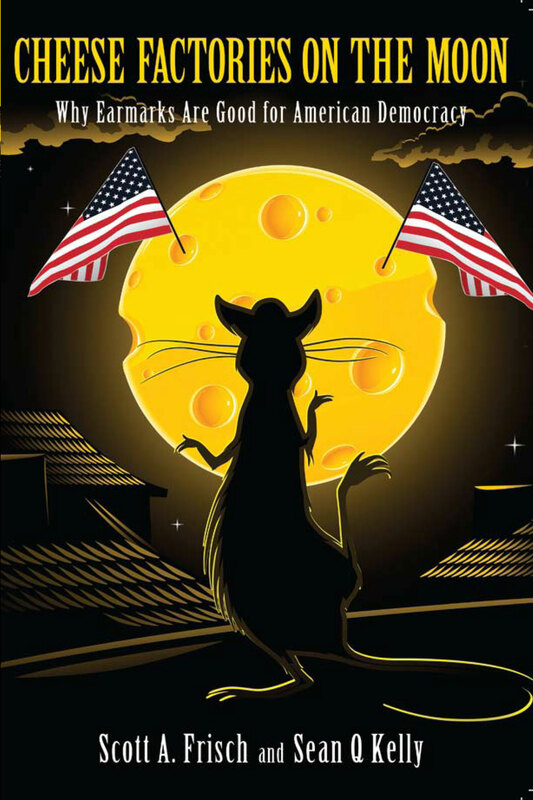 Aimed at a general audience and utilizing extensive interviews with Washington insiders and well-developed examples, Cheese Factories on the Moon offers a much-needed challenge to a widespread but deeply flawed “consensus” about what is wrong with congressional appropriations earmarks. "I've just finished reading 'Cheese Factories on the Moon.' You and Scott Frisch have successfully married the benefits of academic expertise and political experience...you have added an untold and necessary chapter to the big story about congressional appropriations. Without reservation, this book should be required reading for every course on Congress; it also should be on the desk of every media analyst in the country." The paperback version of Cheese Factories is now available! At $24.95 it is affordable for all readers, and a reasonably priced ancillary textbook for courses on American politics. Go to the Paradigm Publishers web site to purchase a copy at an additional 15% discount. Over the last few months we have taken a closer look at earmarks with a series of short essays. Most recently we have written about the connections between the Japan earthquake and earmarks. Visit the blog to get a timely, entertaining, and provocative take on earmarks and pork. 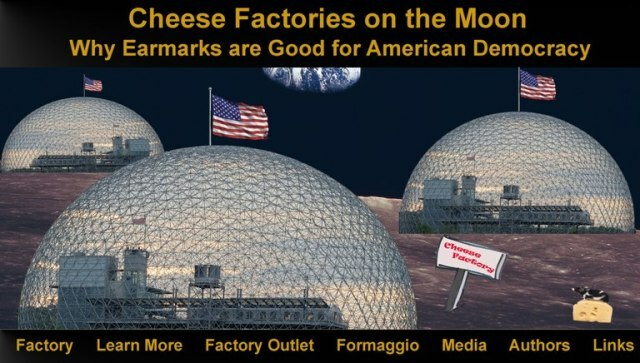 Go to the Cheese Factories on the Moon blog.